I’ll never forget how grown up my sister and I felt the first time we ate at a restaurant with fancy, folded napkins. We felt like elegant ladies dining with their parents rather than the little girls we really were. Later, when we returned home, setting the table no longer seemed the chore it once had as we carefully practiced our newly-discovered art of napkin folding. In the Montessori 3-6 classroom, children as young as three years old are introduced to rolling napkins with napkin rings. Using basically the same technique as rolling a rug, children secure the napkins by sliding a napkin ring over the top and resting it in the middle of the rolled napkin. Later, these napkins are used when learning how to set a table. In addition to improving motor skills, there is an art to folding napkins. It may even be compared with the art of origami. As with any artwork, the right tools, in this case, napkins, and practice, help make it beautiful. The holiday season is often festive and calls for more elaborate table settings. These preparations are but extensions of more traditional table setting layouts. 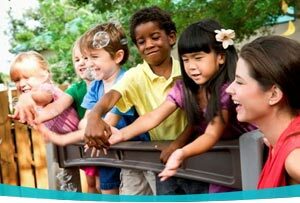 Including your children in your holiday preparations makes them feel that they've made a contribution to the celebration. Try adding a fancy napkin-folding work on your Practical Life shelves at the holiday season. Use napkins in holiday colors, i.e. orange and brown for Thanksgiving, blue and silver for Chanukah, green and red for Christmas. If the napkins are thin, ironing them with light starch prior to folding will help them keep their form. Using attractive napkin rings will add some enjoyment for even the youngest child, who may not yet be ready for the “fancy” napkin fold. Place the unfolded napkins on a tray. Some teachers find that having the steps illustrated on a piece of laminated cardstock helps children become independent. Lay the unfolded napkin face-down in a square in front of you. Fold the napkin in half, creasing the center fold. Re-open the napkin and lay it flat. Using 1-inch folds, accordion-fold the napkin up to the crease. Try to make sure the final fold rests on the crease. This will help keep the ends of the fan uniform. Continue accordion-folding the remaining half of the napkin. You will have a long rectangle of accordion-folds. Fold the rectangle in half lengthwise. Insert the 1/4-1/3 of the folded end of the napkin into a napkin ring. Place the napkin in the center of a dinner plate. Repeat for the remaining napkins. 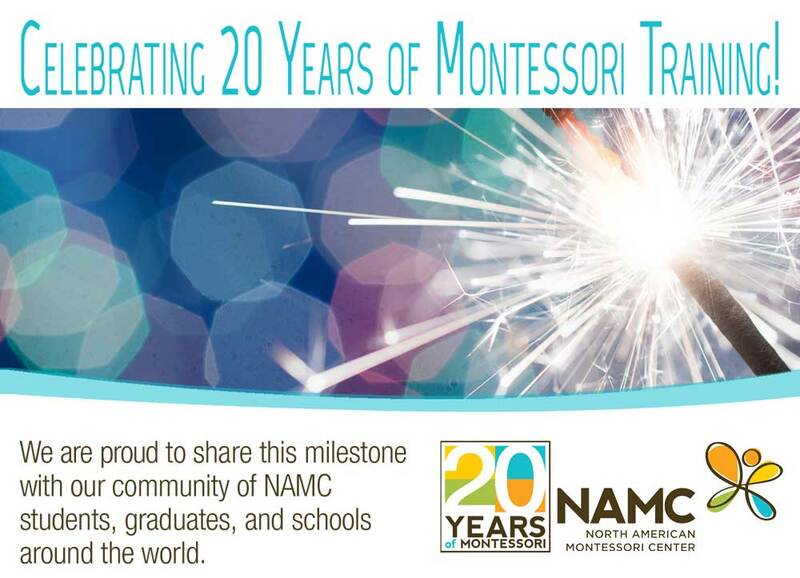 NAMC's Practical Life manuals for 3-6 and 6-9 provide many activities for the Montessori classroom. © North American Montessori Center - originally posted in its entirety at Montessori Teacher Training on Thursday, November 26, 2009.